Rev. James M. Lawson Jr., Dolores Huerta, and Kent Wong at a graduate seminar at the University of California, Los Angeles, on May 8, 2013. Courtesy of Pocho Sanchez. 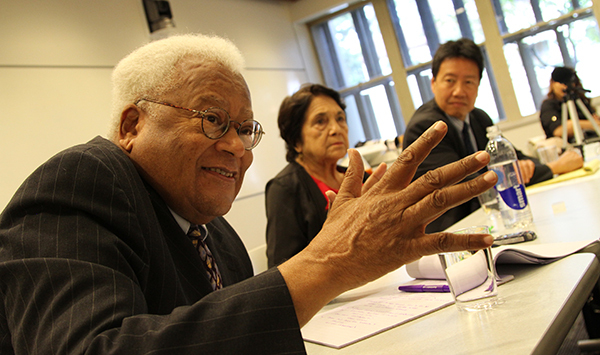 The UCLA Labor Center is proud to release a new book edited by renowned civil rights activist, Reverend James Lawson, and UCLA Labor Center director, Kent Wong. Reverend Lawson helped launch the Nashville sit-in campaign that successfully desegregated the Woolworth’s lunch counter, inspiring a new generation of civil rights activists. He continued to work closely with Martin Luther King Jr. on civil rights campaigns, teaching workshops on nonviolence. 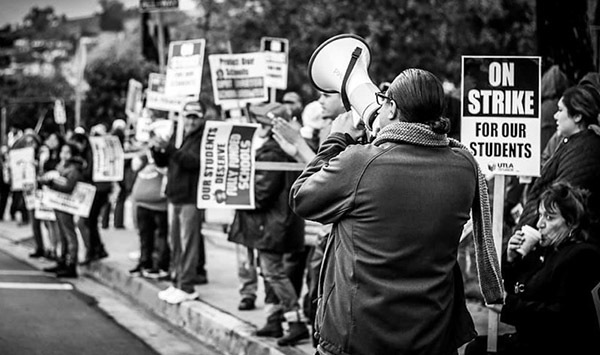 The book, Nonviolence and Social Movements–the Teachings of Reverend James M. Lawson Jr., delves into Reverend Lawson’s connections to movements across the years. 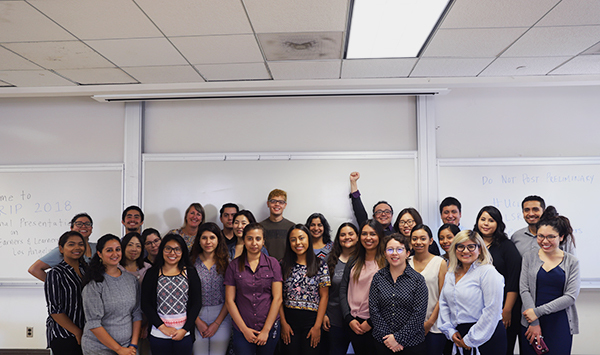 The book is the product of two UCLA courses, in which students engaged with leaders in the field of nonviolence and drafted papers about Lawson’s connections to nonviolent social movements over the years. It is the first book that Reverend Lawson has written and published. Order your copy of the book today. An eye-opening and inspiring conversation with Reverend Lawson and Kent Wong at the UCLA Hammer Museum from April 6, 2016. Love and Solidarity. The story of Reverend James Lawson’s commitment to the value and dignity of work, his legacy of nonviolent activism, and his contributions to labor and civil rights.